Google has publicly released GNSS Analysis app v2.5.0.0 with advanced processing and analysis tools for raw GNSS measurements retrieved from Android devices. 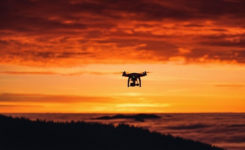 The primary intent of these tools is to enable device manufacturers to see in detail how well the GNSS receivers are working in each particular device design, and thus improve the design and GNSS performance in their devices. However, with the tools publicly available, there is also significant value to the research and app developer community. Full details, download links, user manual, and more are available at an Android developers’ blog post: GNSS Analysis Tools. 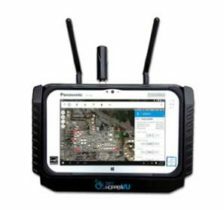 The article also lists Android devices that support raw GNSS measurements. Android powers more than 2 billion devices, and Android phones are made by many different manufacturers. In its basic and original form, the GNSS Analysis Tool is a desktop application that takes in raw the GNSS Measurements logged from the user’s Android device as input. The desktop application provides interactive plots, organized into three columns showing the behavior of the RF, clock, and measurements. The user can see the behavior of the GNSS receiver in great detail, including receiver clock offset and drift to the order of 1 nanosecond and 1 ppb and measurement errors on a satellite-by-satellite basis. This enables sophisticated analysis at a level that was previously almost inaccessible to anyone but the chip manufacturers themselves. The tools support multi-constellation (GPS, GLONASS, Galileo, BeiDou and QZSS) and multi-frequency. The image below shows the satellite locations for L1, L5, E1 and E5 signals tracked by a dual-frequency chip. The tools provide an interactive control screen for manipulating the plots. The tools also provide automatic test reports of receivers, evaluating the API implementation, received signal, clock behavior, and measurement accuracy. In each case it will report PASS or FAIL based on the performance against known good benchmarks. This test report is primarily meant for the device manufacturers to use as they iterate on the design and implementation of a new device. Frank van Diggelen, Android Location Lead at Google, gave a recent workshop presentation at the Royal Institute of Navigation’s International Navigation Conference (RIN INC) in Brighton, UK. Reportedly the topic of most interest to the conference audience was carrier phase from phones, which is available through the Accumulated Delta Range (ADR) field in the raw measurements. The table at the GNSS Tools page shows which phones support ADR. Apps are appearing on the apps store to take advantage of the raw measurements, and give enhanced accuracy through PPP and RTK. 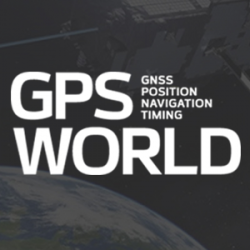 In particular, the Centre National d’Etudes Spatiales (CNES), the French space agency, has released two apps built on GNSS Raw Measurements: PPP WizLite, and RTCM Converter. The German company Geo++ Gmbh has a RINEX Logger. Frank van Diggelen conducts Android location workshop at RININC. The RIN INC workshop/demo showed how data collected earlier in the day on Brighton’s sea front could then be analyzed using the new release. Van Diggelen gave an example of how combined ionosphere and troposphere delays could be calculated using the GNSS Analysis tools release based on the raw data logged that day. A reference satellite was chosen and the tools enabled relative delays between that satellite, which was near zenith, and all other satellites in the constellation to be measured. 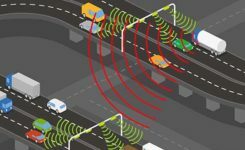 Understanding this has real potential in improving the accuracy of single-frequency GNSS devices. The potential applications include jammer detection via AGC analysis, carrier-phase analysis and many others.